In addition to high quality equipment, Eurowash also offers non-contact cleaning chemist. This is an added benefit for the Investor, who, after starting the car wash, does not have to worry about the delivery of the necessary chemistry. Very efficient, effective for washing cars, vans and other motor vehicles. Perfectly matched phosphate content complies with all environmental standards. The rich foam softens the dirt which in consequence helps precise removal of even the toughest dirt. It contains no fillers, does not leave stains, safe for paint and rubber parts. Dissolved even at a lower temperature which prevents clogging of the tubes, and damage pumps and other sensitive components. Perfectly matched the ratio of weight to volume makes it extremely economical. Leaves clean shiny surfaces prepared for application of wax with an intense nice vanilla smell. Strongly alkaline foaming liquid for cleaning cars, buses and motorcycles. Cleaning heavily soiled cars, trucks, buses, buses and trailers. Excellent cleaning properties quickly soften even the most dirt. Removes from car body: road dirt, insects, wood resins, oils and lubricants. It does not contain mineral oil. Extremely advanced technology guarantees terrific visual effect, and thanks to nano technology water film is quickly shattered by creating a so-called. Lotus effect and long-term protection. Perfectly matched components that make the drying effect is very fast, the paint acquires shine and protection by a hydrophobic nano-coating, protecting from the external factors. It does not leave white marks after drying. The product protects for a long time against environmental conditions giving a deep pearly shine. 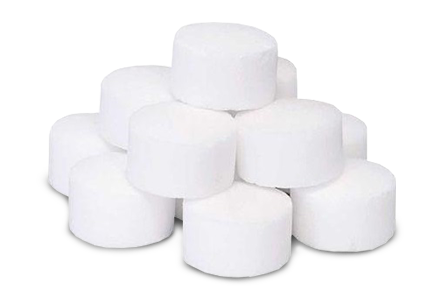 Round Tablets (Sodium Chloride NaCl), white, with no salty smell, without mottling when dissolved in water, dissolve evenly, without dissolving into single crystals. Product designed for water treatment processes, regeneration of ion exchangers, regeneration of water softeners and multifunctional filters.